Have you ever wondered what boxing champion/politician/basketball playing coach Manny "Pacman" Pacquiao does to get amped for a fight? Listen to music, apparently! The Pacman himself made his very own motivational playlist on Spotify, just in time for his big match against Chris Algieri on November 22, 2014. 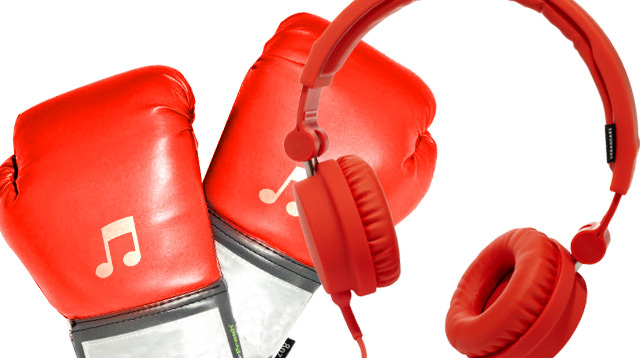 The playlist is called "The Fighting Pride" and Manny described it as "Music for my Macau fight against Chris Algieri." The playlist is an interesting mix of pop hits like Katy Perry's "Roar," The Black Eyed Peas' "I Gotta Feeling," and OPM favorites like Rico Blanco's "Alab ng Puso" and Rivermaya's "Posible." Spotify also created their own playlist for the Pacman called Good Luck Manny with the title of each song in the playlist forming a good luck message. Speaking of Manny's upcoming match, our friends from FHM.com.ph got an exclusive look inside his training camp in GenSan! Check it out here.